So you want to learn how to write a book in 2019? Learning to write a book for the first time is a challenge. This article gives you a step-by-step process to make writing your book far easier. Over the past few years, I’ve written a three-part series of books about writing called Become a Writer Today. I also published The Power of Creativity, a novella, and several short stories. Recently, I finished a manuscript of a new book for entrepreneurs (coming soon). These days, I write twice a week for Forbes about productivity, leadership and innovation too. I’ve faced a lot of painful mistakes while writing books, and I’ve also learned a little bit about how to write a book. In this post, I want to explain exactly how to write a book based on what I’ve learned. I also want to reveal some of my mistakes and some proven book writing tips so you can get started writing a book today. Although I wrote in the past, my specialty is non-fiction book writing. 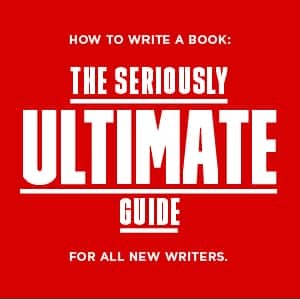 In this guide, I explain how to write a non-fiction book in 2019. 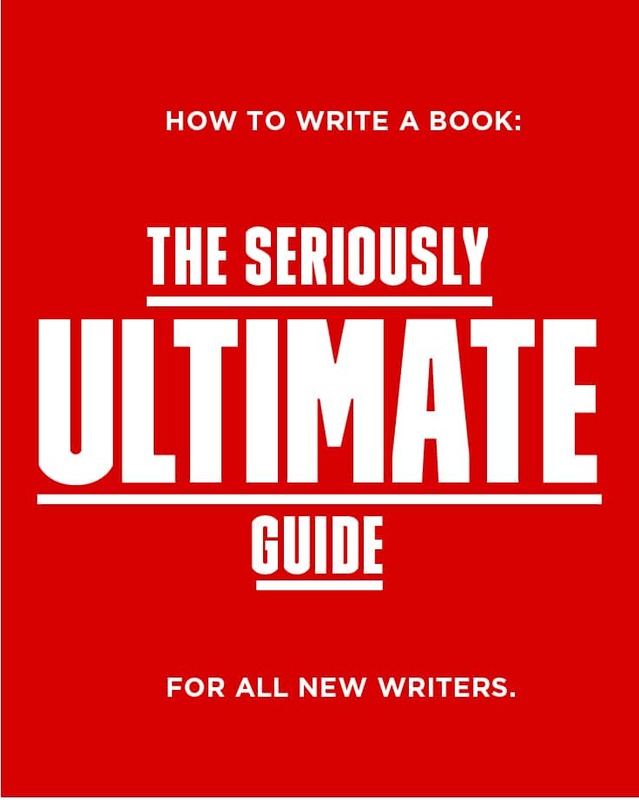 That said, you can also use some of the lessons from this book writing guide guide if you want to learn how to write a fiction book. Success! Now check your email to confirm your subscription and get a spreadsheet for tracking your writing. Writing your first book is a time-consuming creative project that demands months (or even years) of your time. Before you decide to write a book, ask yourself if you have the mental resources, creative energy and time to do it. You must write almost every day and sacrifice other pursuits or rearrange your day so you can put writing a book first. When I wrote my first book, I gave up playing Call of Duty and Halo because I didn’t have the time to write and play games. Stick to your commitment when the writing feels more like work and less like a passion, even when you don't feel inspired. Adopt the mindset of a professional writer who doesn’t call in sick or give up because he or she doesn’t feel like doing the work. You must become a professional who finishes the job. So are you ready to write and publish a non-fiction book that readers love? You might be unsure of what a book should achieve and how to publish it. Book writing, like any skill, takes time to develop. You need to learn skills like writing the first draft, self-editing, arranging your ideas and so on. Your strengths and weaknesses, life experiences and even the books you read play a crucial role in shaping the author you will become. Don’t worry if you get things wrong. Stephen King, for example, threw the draft of his first book in the bin. His wife fished the book Carrie out of the trash and encouraged him to finish and publish it. It took me three years to write my first novella and a year to write my second book. After that, I got faster. Most people forget to mention how lonely the writing process feels when you’re starting. You have to spend hours researching, writing and rewriting the book and sitting alone in a room with only your words and ideas for company. If you’ve never written a book, the isolation is difficult to get used to, but don’t worry. It’ll pass as you get into the process of writing the book. The people close to you might understand what you’re doing, but don’t count on it! One of the reasons I have not gone farther with writing is because family sees me working at a computer, or like today with a cell phone, and thinks I’m goofing off. You’ll be able to handle isolation, other people’s judgments and keep motivated if you know why you should write a book in the first place. After all, to write and publish a book is no small task. It requires dedication and hard work. Is my book a passion project? Am I writing this book to improve my craft? Will this book help me advance my career or become an expert in my field? How will I serve existing or new readers with my book? Is a book the best medium for me to express my ideas? Do I want to generate a side income from my book and if so, how much? Do I have a plan for the marketing, promotion and distribution of my book? Find at least four to seven purposed why you’re writing your book in the first place. Referring to your list of reasons will help you keep motivated when you feel isolated or when others question what you’re doing. As a savvy writer, your job is to find out what your audience wants, likes, and dislikes. Spend an hour or two browsing Amazon and finding Kindle books about your topic. Look for books in your niche with a sales ranking below 30,000. Typically, these books sell at least five copies per day, meaning they’re popular with readers and earn a return for the author. If you’re unsure what type of writer you are, just read, a lot! Read at least five of the books in your niche, taking note of the titles, categories and ideas behind each book. Read books related to the topic you’re writing about or aspire to. Remember, good writers and successful authors are voracious readers. Study both good and bad reviews for these books so you can see what readers liked and disliked and how you can do better. A writer can do this is by combining several ideas from various books and remixing the information with their own writing. 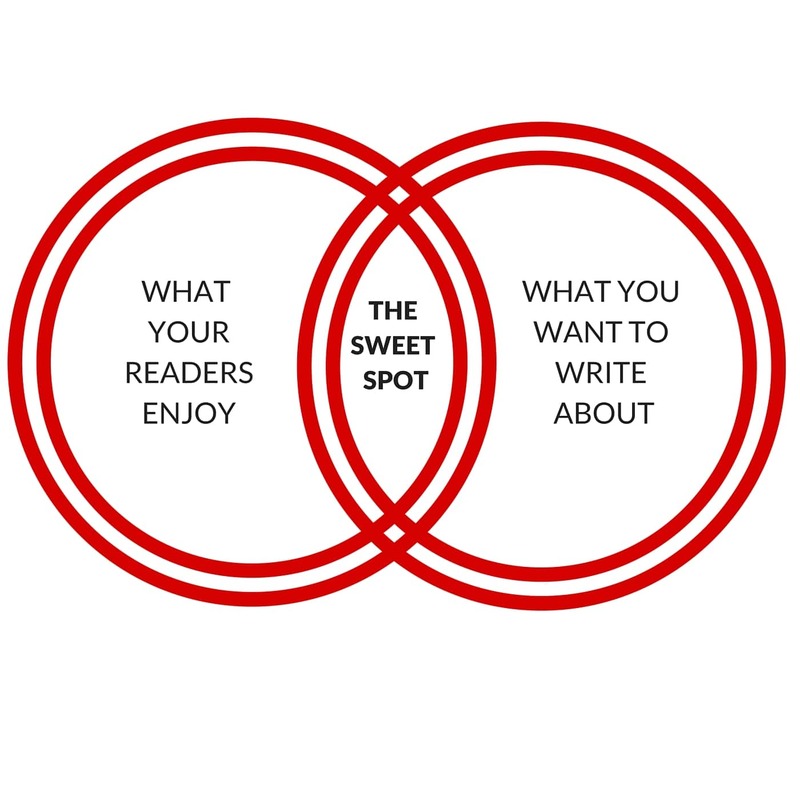 Connecting with your intended audience is critical when you want to publish your manuscript. You have to cater to a certain demographic, so having a clear idea about your intended audience can go a long way in shaping your book. For instance, J.K. Rowling wrote her books primarily targeting teenagers and young adults reading for pleasure. Her books catered to a universal audience and became a cult phenomenon due to her magical storytelling abilities. Always keep your intended audience in mind and consider how they might feel or react to your book. Figure out what you’re going to say that’s different. If you want to entertain, educate or inform readers, you must offer something no one else can. Although you might have a vague idea of what you want to write about, you’ll save a lot of time if you clarify your idea before you start writing. So how do you get ideas to write a book? What’s the big idea behind my book? How is my book different from everything else that’s out there? Why should people spend their money (or time) reading my book? What can I offer that no one else can? Nobody has to see your answers, so be as honest as you can. Your answers will help you write a more concise first draft. You might know what your book is about, but does your reader? Unless you’re writing fiction or literary non-fiction, craft a positioning statement for your book so you know what it’s about in one sentence. My book helps ________________ who ________________ get ________________. My book teaches ________________ how to ________________. My book helps ________________ who ________________ achieve ________________. Doing this extra work up front will help you avoid spending hours writing a book, only to find later you hate your idea. Making a book proposal is also a good idea when you are researching similar titles in the genre you are writing. If you’re self-publishing your book, your positioning statement and book proposal will also help you market your book. There are two types of writers: pantsers and plotters. Pantsers are writers who sit down in front of the blank page with only a vague idea of where they are going or what the story is about. They write from the seat of their pants, inventing things as they go along, and are happy to see where their characters take them. They write with a connection to God, their muse or their subconscious. Stephen King is a pantser. Plotters are writers who spend weeks or months organising their ideas. They decide what they want to write about in advance. They also have a clear view of their story before they begin. When plotters sit down to write, they have a firm idea of what they’re going to say and the research to back it up. Robert Greene, the author of Mastery and The 48 Laws of Power, is a plotter. I’ve tried both approaches, and there’s nothing wrong with either. You’ll discover what type of writer you are, and your voice will emerge if you turn up and do the work. Remember, as Seth Godin says, everybody’s writing process is different. After years of painful rewrites, unfinished manuscripts and pulling my hair out, I found out that I’m a plotter. I like to know what I’m writing about in advance. I NEED to know what I’m writing about in advance. Today, I’m convinced being a plotter lends itself well to most types of non-fiction writing. You don’t need to be a subject matter expert to start writing a non-fiction book, but you will become one by the time you’re finished. To start, you just need patience and an ability to write clearly. Know where your strengths and weaknesses lie. Identify a subject or an area of expertise about which you can write at length and let your imagination soar. Free writing is one way to explore your interests. I’ve written before about the cost of self-publishing a book. What else did I budget for? Well, because I’m self-publishing this book, I set aside several hundred dollars for Amazon book ads. Even if you’re on a tight budget, you must understand that working with an editor, proofreader and cover designer is the cost of entry. If you want to write a book readers enjoy, invest more than just time in your book. Robert Greene said he reads 300-400 books over the 12-24 months before he starts writing a book. He uses an analog system of flashcards to record lessons and stories from each of these books and highlights what he reads. “I read a book, very carefully, writing on the margins with all kinds of notes. You might not be writing a book as dense as Greene’s, but research is an integral part of learning how to write a book. For instance, your story might take place in real-world locations, which means readers will expect accuracy. Develop a system for recording and organizing your research. You could use Evernote like I do, create a mind map or use index cards likeGreene. I use my Kindle to highlight key sections in the books I read. Once a week I review these highlights and record notes about them in Evernote. This way I have a digital filing system for everything I’ve come across. Writing a book is much like running a marathon. A new runner doesn’t attempt to run 26 miles as part of their first session. Achieving that level of endurance requires many sessions to build the discipline and strength to finish a marathon. Do you feel overwhelmed by the amount of work ahead of you? Break writing a book down into smaller milestones that you tackle one by one. Books are made up of chapters, sections, paragraphs and sentences. Today, write a few paragraphs about a single idea or piece of research for your non-fiction book. Tomorrow, write about another idea. As long as you move forwards with your first draft each day, you will reach the end of your first draft. In another life, I was a journalist, and part of my job involved interviewing politicians, business people and even authors. The interviews that caused me the most problems were more than 60 minutes long because they took hours to listen to and transcribe. Interviews can help you research a non-fiction book faster and add credibility to your work. 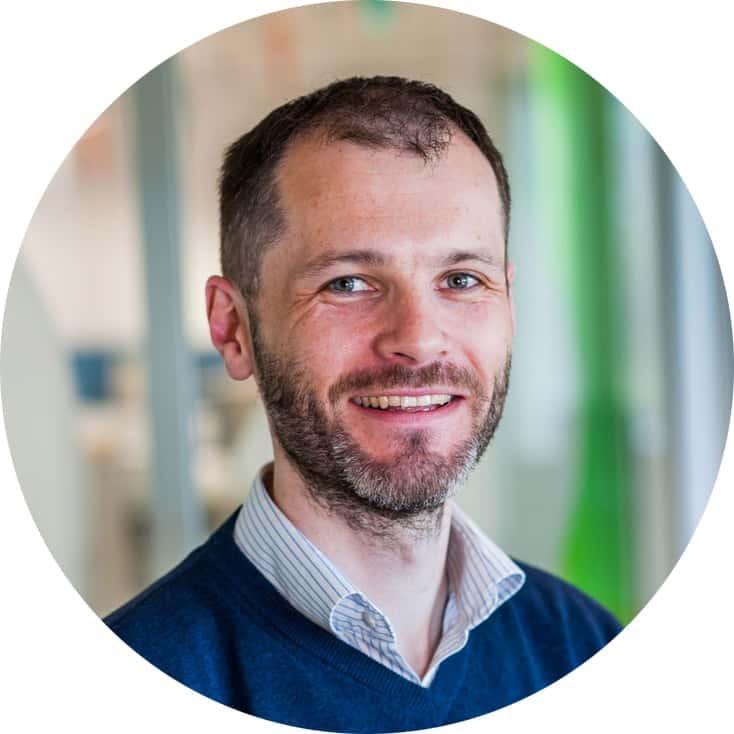 However, if you’re interviewing subjects, keep your interviews between 30 and 60 minutes and working out what you want to ask interviewees in advance. You can also save a lot of time by getting your interviews transcribed for a dollar a minute using Rev. So, how much research is too much? Greene’s books are dense, non-fiction books of more than 500 pages filled with historical stories and psychological insights. In other words, research forms the backbone of what he writes. Consider a typical Frederick Forsyth novel. He dedicates entire chapters to describing the origins and operations of an intelligence agency. This process indicates in-depth research. Your book might not depend on so much research up front. Remember, research can turn into a form of procrastination. Besides, you can always continue to research your book as you write … once you have a system for capturing your ideas as you go. I outlined my most recent book in advance. I started by reading dozens of books about creativity, writing and productivity over the course of a year before deciding to tackle this topic. Then, I free wrote about the book for an hour or so. I extracted the ideas I wanted to write about. Then I turned them into provisional chapter titles and recorded them on fifty index cards, one for each potential chapter. 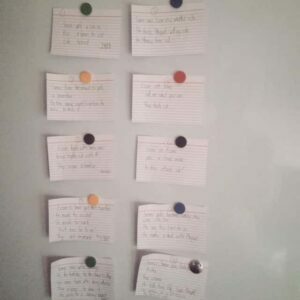 On each card, I created a rough list of ideas in the form of five-to-ten bullet points. I also noted other books and stories to reference. 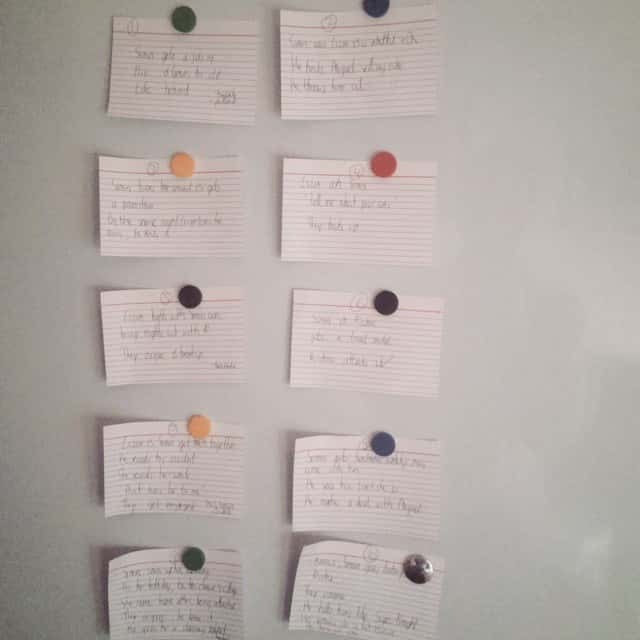 Then I pinned these index cards to a wall near where I write so I could live with this outline for a few weeks. I spent several more weeks working on the outline before transferring it to my computer and expanding upon each bullet point. Write an outline to help guide you in the right direction, making sure your chapters follow a logical progression. Don’t write an outline and expect it to solve all your problems when working on a first draft. All you are doing when you write an outline is creating a blueprint that you can use as a reference. You might want to write about book a sports or diet regime, tell a personal story or offer a guide to a complex topic like teaching science to kids. Your job will feel a lot easier if you get yourself a chainsaw. For authors, that chainsaw is the controlling idea or thesis statement behind a book. Your thesis statement or controlling idea should offer a glimpse into the subject you’re writing about and the viewpoint that guides your book. Who or what is the subject of my book? From what point of view is my book? What is the core value underpinning my book? How is my book different from everything else that’s out there? During the editing process, your controlling idea or thesis statement will help you assess whether each chapter achieves its purpose. It will help you prop your book on a firm foundation. Professional writers work to deadlines. Some writers complain that deadlines loom like a guillotine and find them off-putting. A typical non-fiction book consists of between 60,000 and 80,000 words, and a typical novel can be anywhere from 60,000 to 120,000 words. So if you want to write a non-fiction book, and you commit to writing 1,000 words a day, it will take you 60 days to write the first draft if you write every day. Do you need to write every day? If this is your first book, it’s unrealistic to expect you can write every day for several months. Instead, aim to write five or six days every week. Cultivating a writing habit becomes crucial when you reach this juncture. A good writing habit ensures that you set aside a time each day for your book. If you haven’t written much before, set a more achievable daily word count target along the lines of 300 or 400 words. Then, with some basic math and a calendar (I use Google’s), you can work out how long writing the first draft of your book will take and set yourself a deadline. Do you have a dedicated place in your house to cook? To read your morning newspaper? Or perhaps you have a large couch in front of your television? It’s easy and fun to attend to activity if you have a dedicated space. The same is true for writing as well. Want to write a best selling book? Start by having a dedicated writing space where you can work on your first draft without interruption. Ideally, your writing space should be sparse and devoid of distractions. That means no televisions, game consoles and so on. You could put inspirational posters on the wall or look out onto your garden. That said, many successful authors prefer working while facing the wall because the outside is distracting. Even if you don’t have a space in your house or office, you could go to a library or coffee shop each day. The poet Raymond Carver wrote many of his early poems in his car. You could also listen to some soft, soothing music in this space to get you in the groove. When writing a book, I like listening to rainfall on repeat using noise-cancelling headphones. Remember, a perfect writing atmosphere varies from one author to another. 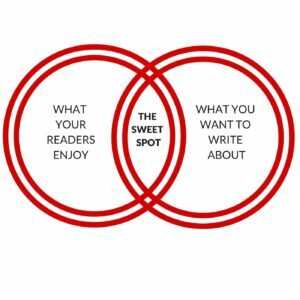 As long as you have found that sweet spot where you can write 500 words per day without interruption, you’re good. Writing the first draft of a book is intimidating. You look at the blank page in front of you, and you wonder how you’re going to fill this page and hundreds of other pages to come. Instead, find somewhere you can write quietly for an hour, and do all you can to get the words out of your head and onto the blank page. The first draft is sometimes called the vomit draft (Eww!) or the rough draft, because you just need to get it out! Don’t stop to edit yourself, review what you’ve written or see if what you’re saying makes sense. The first draft is also a time when you can nurture and develop your writing habit. If you decide you’re going to set aside two hours each morning, writing the rough draft becomes a schedule you stick to. I find it helpful to set a target word count for my writing sessions. I usually aim to write 1,500 words in an hour, set a timer and open Scrivener. Then I keep my fingers moving until I reach the target word count or until the buzzer sounds. While you’re writing your first draft, keep your outline and notes nearby to guide you through each section in your chapter. A rough draft, like the name suggests, includes flaws. As long as you have a skeleton of the book that you can refine and rework, your rough draft is a success. A writer shared this sentiment with me a few weeks ago. First of all, the job of your first draft is simply to exist, so don’t worry about the writing. If you feel like you’ll never finish, start writing in the middle of the chapter that’s causing your problems. Introductions explain what you’re about to say next, but how can you write an introduction if you don’t know what comes next? Similarly, conclusions wrap up what you just said, but how can you write one if you don’t know what you just said! Your story needs a good beginning, a juicy middle portion and a cracker of an ending. Jumping straight into the middle of a chapter will help you gain momentum faster. Maybe your main character finds out about a secret that will change the course of the story. Or perhaps a major event threatens the very existence of your protagonist's universe. Jump into the middle, and figure out how to write the introduction. Then take your first draft chapter by chapter. Write your book with the sole intention of putting the story that is stuck in the recesses of your memory onto a paper. Don't worry if all of it comes out at once and some of the chapters seem unfinished. That's the purpose of rewrites, editing and revisions. When you write your book, ideally you should enter a state of flow. In this state, your fingers move automatically over the keyboard. Sentences become paragraphs, and paragraphs become chapters. Don’t write your book with the sole purpose of getting it to the top of some best sellers list or a big payday. Instead, write your book with the intention of creating something readers love. Tip: Speech to text software will help you write faster. I wrote my first book when I was working in a job I disliked, just after my wife had our daughter. I didn’t have enough free time to write eight hours a day. Even if I did, I lacked the mental discipline to do it. When I was starting out, I wrote every night after 9:00 p.m. when the kids were in bed. However, I quickly found that when I put writing last in the day, it was least likely to happen. I cannot stress the importance of hard work. It’s the key to completing any daunting task, and writing a book, at least for a first-timer, demands it. Now, I block-book time in my calendar for writing every morning at 6:00 a.m., and I do all I can to stick to this. It helps that my daughter is now five. If you’re a new writer or you’ve never written a book before, you’re probably balancing writing your book with a job and family commitments. So, pick a time when you’re going to write every day, block-book it in your calendar, and do all you can to stick to it. Managing your writing time also means saying no to other activities and ideas—if they take you away from the blank page. Getting from page one to The End is a long race, and it sometimes gets lonely, but the hard work will pay off. Writer’s block is a serious issue for some new writers, but it’s easy to conquer. In his book, On Writing, King says he deals with writer’s block by throwing a new problem at a character. If you write fiction, your protagonist might get lost in a forest and meet a villain. Free write about what this encounter looks like. Introducing plot twists, small tragedies, a background story or even a new character will help you get over writer’s block. If you write non-fiction, explore a setback or challenge you faced while trying to achieve a specific outcome. Extract a story from your journal it helps. Stopping to refill the well is another good way of conquering writer’s block. Put your first draft down, read other books that inspire you, visit an art gallery or listen to a podcast by someone you admire. 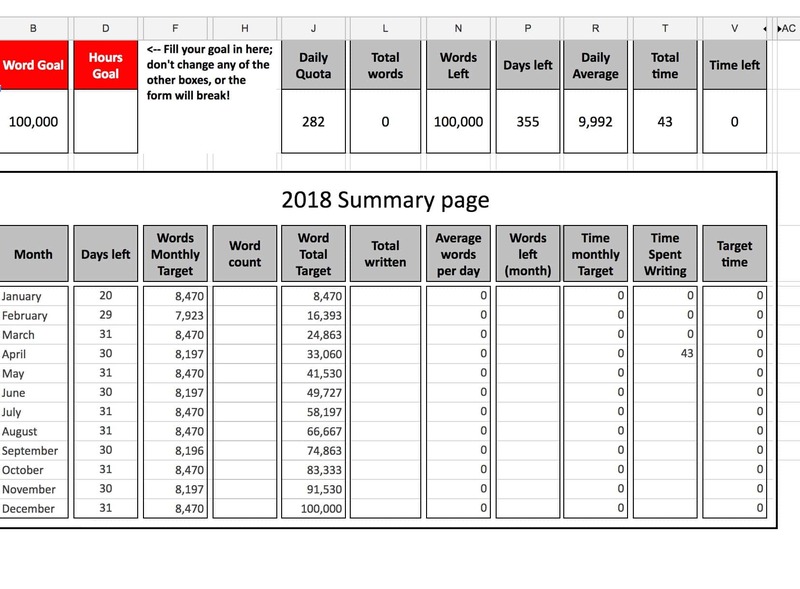 One of the biggest tips I can give you for writing your first book is to track your daily word count and how long you spend writing each day. Writing and publishing a book takes months, depending on the subject, so set small milestones for yourself. Ernest Hemingway recorded his daily word count on a board next to where he wrote, so as not to kid himself. 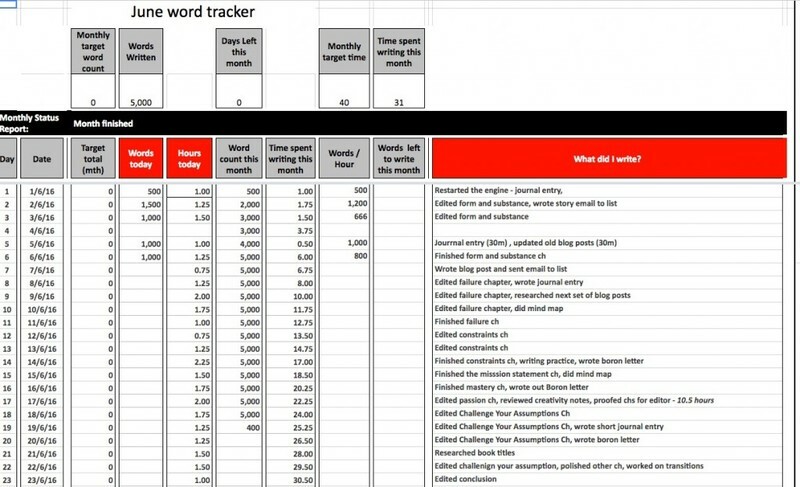 Tracking your daily word count will help measure your word count and see how far you need to go to reach your target for writing your first book. A target daily word count is less important when you’re writing the second and third drafts or self-editing your book. During these rewrites, concern yourself with shaping your ideas and working on the flow and structure of your book. At this point, it’s more helpful to know how long you spend rewriting or editing your book. Remember, what gets measured gets managed and what gets managed gets done. When you’ve finished writing your first draft, let it sit on your computer for a week or two, and do something that has nothing to do with writing. After spending weeks or months working on an idea, I find that the work becomes too hot to touch, let alone edit. When you let your writing sit for a while, the ideas cool down, and your memory of it fades. Once you’re ready, print out a draft of your book, sit down with a cup of coffee or tea, and read your draft in one or two sessions. When you read the draft, you’ll look at it and think, “Oh yeah, I remember this.” Best of all? You’ll be able to see problems you missed previously. Highlight and underline sections with a red pen that you need to change. Look for words and sentences to change and ideas to remove and expand upon. Don’t change them now! Mark your manuscript with a pen and continue reading. The American novelist and editor Sol Stein likens the process of reviewing the first draft to performing triage on a patient. Before you get into small changes during a rewrite like tweaking a chapter title or editing a sentence, fix the big problems in your book. While I was rewriting my creativity book, I dumped two unnecessary chapters and wrote a new one. I also found additional research to back up holes in my arguments. Only then did I get into performing line edits. Have I told stories in my work? How can I strengthen my arguments? How can I bring an original insight to my work? What’s the weakest part of this chapter? Now can I cut it? Have I eliminated as many unnecessary adverbs and adjectives from my work as possible? Have I removed every cliché? You might perform the process of writing, reviewing, editing and rewriting several times before you’re happy with your book. Take it sentence by sentence, paragraph by paragraph and chapter by chapter. As you work, your book will teach you how to write it. This is also a good time to reexamine your writing style and check if you are maintaining a consistent writing style throughout your book. You can develop your writing through considering your favorite books, authors and stories. But what if you still need help? While working on later drafts, enlist the help of a family member or friend. Later on, hire an editor and ask them to provide frank feedback. Even marathon runners stop to refuel. Plan your breaks, because procrastination is inevitable. While writing your first draft, don't be too harsh on yourself if you feel burnt out or just need a day or two off. Relax, refresh and then get back to your book. You might be able to write the first or second or even third draft alone, but at some point, you need outside help. When you’re immersed in a writing project, it’s difficult to see gaps in your research, stories that don’t work, or chapters that are too long. If you’re encountering roadblocks, you can waste a lot of time trying to get around them yourself. Editors are trained professionals whose job is to turn manuscripts into something readers enjoy. A good editor will help you write a far better book and improve your craft as a writer. They’ll also help you speed up the process of rewriting your book. Like any professional, editors are not free. You’ll have to hire one in advance and give them several weeks to review your book. Depending on the length of your book, you can spend anywhere between 500 and several thousand dollars on an editor. Getting frank editorial feedback about your work is difficult to take. There are times when you should ignore criticism, but in this case, your editor’s feedback is about your work and not about you. After a book cover, budgeting for an editor is one of the most important things that you must do if you’re going to publish the book you’ve just written. You could try proof reading your book yourself, but I don’t recommend it. It’s time-consuming, and because you’re so close to the material, you will inevitably overlook some typos and mistakes. I wasted a lot of time trying to proof my first book myself only to have readers email me about the typos. I don’t know about you, but typos keep me up at night! In the end, I hired a proofreader, asked them to fix my book and re-uploaded the proofed version to Amazon. Instead, I recommend hiring a proofreader or giving chapters of your book to beta readers, family and friends to check. Hiring a proofreader will cost several hundred dollars depending on the length of your book. Giving chapters of your book to eagle-eyed friends and family shouldn’t cost you much (beyond returning the favor!). Writing and publishing a book are two different skills, and it takes different mindsets to succeed at both. While writing allows you to flex your creative muscles, publishing your book is a science that requires a much more logical approach. Covering how to self-publish a book is a post in itself. You can try a myriad of software packages and book writing apps. I recommend Scrivener as one of the best book writing apps, while my top self-publishing app is Vellum. There’s a modest learning curve to both tools, but it’s time well-spent. The other thing you’ll need to do is hire a cover designer, and I recommend 99 Designs. Adding a book review will also come in handy to attract those readers who do a drive-through by skimming through your summary and your book cover. Getting a book review from an established author or lots of readers will help you sell more books. If you need help with this, consider joining the Author Marketing Club. If you have an email list or blog, you could offer readers free review copies of your book. You could also try writing guest blog posts that stoke the curiosity of readers of other sites. It’s relatively easy to turn non-fiction book chapters into posts with some editing. It’s relatively easy to upload your e-book and cover to Amazon and other book stories like Kobo or Draft2Digital. Did you ever notice how authors use terms like “No.1 Best-Selling Author” or “Sold over a million copies worldwide”? Today, a successful author must write a book and market and sell their work. It’s not enough to consider your book good enough for readers to find you. That starts with investing in a professional book cover and writing a captivating title. From there, you must build a launch team and even invest in ads for promoting your book. Your title, along with your book cover, should capture the attention of would-be readers. So create an intriguing title and an optimized subtitle that stands out on stores like Amazon. I cannot stress the importance of commissioning a professional book cover designer. A book cover grabs and convinces readers to pick up your book or download a sample. So always budget for and hire a professional book cover designer. Every good book has a team of people behind it, and you can usually find them in the “acknowledgements” section. At first, your initial audience might include friends, family and members of a writing group. Later, invite readers of your other books or your blog. Writing a book is only half the battle. Now, you must sell it. That’s a post in itself, but a number of strategies will help sell more copies. Firstly, cultivate an email list of loyal readers who will read early or advanced copies of your book, offer to write reviews and so on. These readers represent your street or launch team. Secondly, invest time and money in learning and testing Amazon ads. 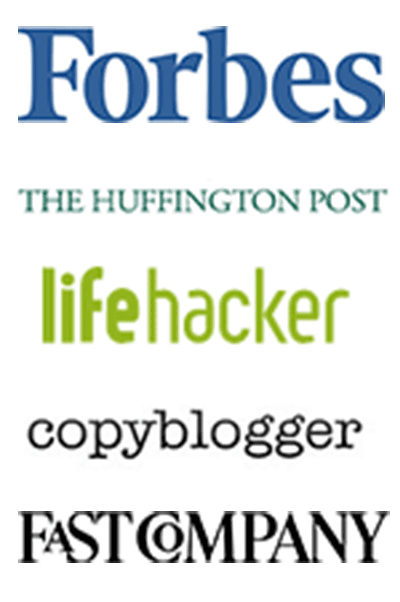 They are relatively easy to use and will help you sell more copies. Thirdly, if you’re writing a series, give the first book away for free. This strategy will encourage readers to buy the second or third book. If you haven’t written a series yet, remember the best way to sell the last book is to write the next one. Writing a book takes a tremendous amount of hard work and mental discipline. That’s one reason why many would-be authors spend more time talking about writing than doing the work. Once you finish writing your book in 2019 and publish it, congratulations! Now, you’re a different type of writer. You know what it takes to start and finish writing a great book. Successful non-fiction writers put their books on the marketplace and move on. You will always see a gap between what you want to create and what you end up writing, but you can narrow the distance with each new book. After all, the best way to sell the most recent book is to write a even better one next time. 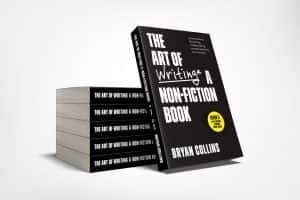 Hi Bryan, Thanks for sharing this informative post, and explain exactly how to write a book based on what you’ve learned, and told us about reveal some of your mistakes and how we can avoid them, This is a great achievement for every writers, Your post will be definitely useful for all kinds of writers, this post is very helpful for me thanks for sharing it. It is really informative and attractive post. I will recommend it to others .keep up the nice work. Glad you liked it, I appreciate the recommendation too. Thanks Kasper… and for the share. Hi Brian, I just want to leave a big thank you for all the hard work you so unselfishly give to all of us out here who have ambitions to write; whether it’s a book, articles, memoirs or just daily bits and pieces simply because we enjoy writing. I am a widow, a pensioner and live alone. At eighty last month and not a “plotter” I don’t think I will ever actually get to write a book nor is it a deep need to do so; but I love to write and do so every day on the “750 Words Site” I also write poetry, memoirs, autobiographical efforts to leave for my family and also many bits and pieces on topical subjects or as a result of my own thoughts and interests. I have won various small prizes for poetry and short stories and I am content to leave it at that level. I follow your newsletters because they are so honest and extremely helpful no matter where anyone is with their writing and of course, because I have learned lots of useful tips from you. It is clear you care about people which is a rare quality in the competitive world we live in these days. I found lots of helpful advice here and especially enjoyed your video. It is good to actually “meet” in person someone you admire and who looks as nice as they already appear to be … so thank you for taking the time, effort and I would imagine a costly endevour for us all. Phew! Hope I have not bored you but I really did want to say a big thank you. It is easy to just devour advice from those who make the time and effort to give it and you are one of the top writers for me that do so. Have a good day Brian. God bless and be happy. I appreciate the kind words. If you love to write, sometimes that’s enough. Congrats on winning the prizes too. Let me know if there’s a topic you want me to cover. Chat soon. As someone who has thought several times about writing a book, I found this post fascinating. Awesome to get a peek into your process and thinking about how I might adapt your methods to my own writing and working styles. Nice to hear from you again. I like hearing how others writers get things done. Appreciate the share too. Fantastic post! Thank you for sharing the wisdom of your experience, and doing it in such a useful way. I stumbled onto this post, and you have converted me into a regular reader. Thanks for this very unselfish, captivating, and educational post. On this Martin Luther King holiday in America, I consider it a gift that I chose to read your post. I am in a lousy job right now, and think the time is ripe for a change. The way you set out the process of writing a non- fiction book is both honest and expert. May your career expand and help millions. I recommend this post very highy. Nice to hear from you. There’s always time for change! Thank you for this excellent article. It has convinced me that if I cannot get an agent or publisher (which at the moment I cannot) then this is not for me. that is, actually a huge relief! Great post, thanks for sharing. I’ve self-published several non-fiction books and I support most of what you’ve said. It’s totally worth hiring a copy editor if you are anything less than a grammar pedant and perfectionist: nothing says ”shoddy self-published book” louder than grammatical errors! As for cover design… Well I found it fairly easy: I made myself a Pinterest board of book covers I liked, and when I was ready, I arranged some objects, took some phitos, added the text, and ta-da! So depending on one’s subject, and one’s abilities on Photoshop or paint.net, it is very doable. I think it would have been worth you saying something about the importance of finding a niche – especially if you are self-publishing. If you want to write something mainstream like a recipe book or a book about parenting, most newbies haven’t got a cat in hell’s chance of competing with the big names. But carve out a niche (or spot one) and you’re on to a winner. For example, a recipe book for people with a dozen allergies; a book about parenting a child with a particular disability. Sometimes niches fall into your lap and you unintentionally become an expert, (such as those two examples) but they can also be researched. I wrote a book which was admittedly not amazing, but it was the only one available on the particular subject, meaning that my book came top of the searches on Amazon or Google, and I spent £0 on advertising but I’ve made double what my previous job (teaching) used to pay me. So finding a niche pays dividends, if you can find one. I’m constantly on the lookout for the next one; whenever I listen to people complain about the fact they never knew xyz, I consider whether I can write a book on it! That’s a great point about finding a niche, it’s particularly through if you want to sell copies of your book on Amazon. I’m so grateful I came across this post! Do you know of a way to filter on Amazon for sales ranking? I’m trying to find those authors who are around 30k and didn’t know of an “easy” way to do that. That Amazon tip is truly invaluable to me! You can use a premium tool like K-Lytics. Really helpful article Bryan. It is very much appreciated. As someone starting out, the level of depth helps highlight things beyond just platitude level ideas and statements. The added links and resources, the thoughts to make visible several unknown unknowns that I had, and the clarity of it all will really help me on my journey. Thank you for the nice article Bryan. I am from India. I followed your advice and hired a ghostwriter from http://www.pinakighosh.com to write my motivational biographical book. The book came out very well, after 3 months of collaborative effort. Luckily editing was covered within the writing cost. They also have their own ISO9001 self publishing company http://www.power-publishers.com where I have just started the self publishing process. Going good so far; my book is yet to be published. Wanted to thank you because I would have not known of any of these unless I stumbled upon your article. Thanks Bryan for this useful piece. I have loads of ideas and stories that are only in their first few lines but abandoned. I have been trying to finish and publish for about 36 years now. Though my attempts have been hampered by too much of changing stations due to the nature of my rail service work in Nigeria and my getting in and out of school . However, my greatest enemy is my trying to be a perfectionist. I always end up dumping my work when what I am writing begins to go different from what I had in mind.